Minnesota is Opting Out of MCA Standardized Testing! Our Operation Opt-Out map shows some of the various school districts where parents are opting out their children from the MCAs. 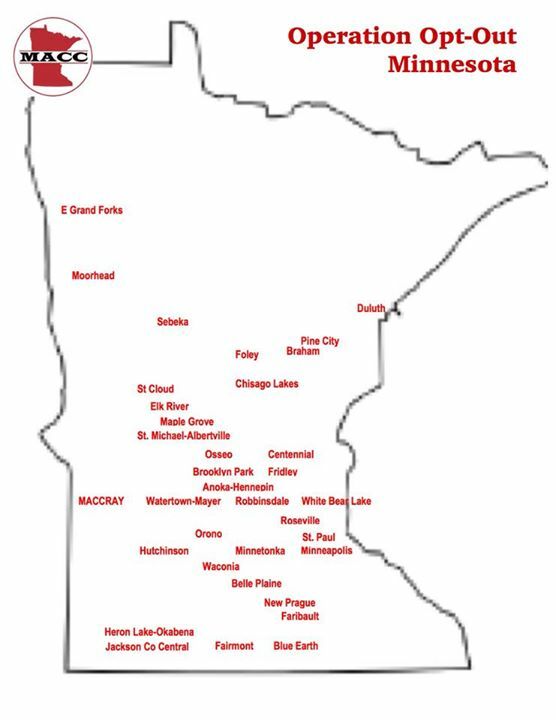 MACC is very encouraged to see many friends across the state opting out of the Minnesota Comprehensive Assessments (MCAs). Parents have the legal and fundamental right to advocate for their children and guide their children’s education. The recent announcement of Governor Mark Dayton and subsequent legislative hearings with Minnesota Commissioner, Brenda Casellius, have revealed that standardized testing is Minnesota is undergoing some reduction. We couldn’t be more pleased! However, we still hear of some Minnesota school districts giving up to 14 standardized and other equivalent online tests per year, which does not account for teacher classroom tests. This is abusive to students and learning. At MACC, we believe in FAMILY FIRST! So consider a few important reasons to opt your child out of the MCAs. 1. Parents cannot see the test questions. 2. Online tests collect and mine data studied by psychometricians at Pearson and AIR (American Institutes of Research). 3. Online tests collect and mine data sent to the SLEDS – State Longitudinal Education Data System. 4. Like other states, Minnesota is pushing for a file on every child and designated with a unique student identifier called “Digital Backpacks”. Students already have personal log-in codes that identify them immediately. 5. Computer adaptive testing does not test every child the same. The subject may be the same for all students but the questions are not. 6. Computer adaptive testing aids in uncovering children’s personal beliefs, values and characteristics. 7. The FERPA law (Family Educational Right and Privacy Act) was gutted in 2012. All data is now shared among 3rd parties, not only in our state but outside the state. Once the data is “out there”, it cannot be retrieved. 8. The MCAs are run through Pearson. Pearson is a player in the reform of Common Core standards by delivering curriculum to match the tests given. Pearson is also in charge of the PARCC test, one of the two national consortias created to test the Common Core Standards and thereby created a resulting curriculum. Pearson has been well funded by the Bill and Melinda Gates Foundation. If you would like to have your child opt out, merely use our MACC opt out testing template and hand deliver to your school’s principal, teacher (s) and testing director. Your child will be given alternate instruction during the tests and removed to the media center or cafeteria where they can complete their classwork. 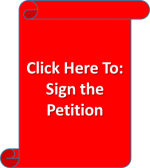 Visit our Operation Opt-Out link on our MACC website or Minnesota Against Common Core on facebook to get that opt out template. Parents may always write their own letter to opt out their child. Consider meeting with your principal to inform why you are opting out. I totally agree with you, Lisa. This test takes away instruction time and we don’t need it. It is like the school is still trying to control my child’s education. I homeschool him so that I can control his education. In addition, my son is autistic and the test just makes for a horrible couple of weeks for us. That is what it takes to test him. Can homeschoolers opt out of standardized testing? Hi Lisa! I’m sorry to tell you but homeschoolers must comply with the law and take that one standardized test per year. In the eyes of the state, this test is what accredits your homeschool. Let us know if you have other questions. That’s a bummer, its so pointless because no one ever sees the test results as they are private and just kept by us parents. They are also pointless because parents know what their children’s strengths and weaknesses are.